Welcome to The Tuesday Slot, this week Irene Parker continues our articles on the Arizona House Bill 2639, with a contribution from Fran D, a Registered Nurse. Arizona has proposed a timeshare bill to protect timeshare buyers, but this bill is being contested by timeshare lobbyists. If Arizona HB2639 passes, it would help to protect consumers from fraud and deceptive sales practices by allowing a 14 day rescission period, among other safeguards. Fran, an Arizona resident, hopes that by sharing her timeshare experience that took place in Sedona, Arizona, and Maui, Hawaii, it will help lawmakers understand what buyers face when purchasing a product improperly presented. Timeshare members pay $5 million in annual “voluntary” donations to ARDA ROC. ARDA is the American Resort Development Association and ROC is Resort Owners’ Coalition. Out of 717 timeshare families who have reached out to Inside Timeshare, not one member could tell me what ARDA ROC stands for. Many of the families affected by the lack of a secondary market for timeshares have been financially devastated. The majority of our readers have reported unfair and deceptive timeshare sales practices. ARDA – Is this is our voice? But the bottom line, said (ARDA lobbyist) Isaacson, is that the state should not step in to protect people who didn’t bother to understand the nature of the deal. Anyway, Isaacson argued that too much is being made of the issue. He said the 250 complaints a year to the Attorney General’s Office pale in comparison to the 600,000 timeshare units owned in Arizona. What Mr. Isaacson doesn’t understand, is that members are bound by the contract, despite fraud, with the vast majority of complaints alleging deception dismissed with “You signed a contract.” It’s not that buyers don’t understand the product. It’s that they understand the product as it is so often deceptively presented. Three major timeshare companies have received, respectively, over 2,000, 1,000 and 800 Better Business Bureau complaints over the last three years. When buyers complain, they are typically told they signed a contract. How many people buy cars and houses without relying on reading every word of a contract, relying on the ethics of the real estate or automotive broker? It is only in timeshare that the oral representation clause is so abused and so overused. The industry itself calls deceptive practices “pitching heat,” a term unique to timeshare sales. Access to booking is not allowed until after the rescission period, so reading the contract would not help. Wait until you make a few payments before refinancing – when banks don’t finance timeshares. Fran’s complaint, recently sent to the Arizona and Hawaii Attorneys General, was dismissed by the company, responding that there were no misrepresentations. You be the judge. She will file complaints with the BBB, the FTC, the FBI at IC3.gov and the Securities and Exchange Commission. We purchased 8500 points in Sedona Arizona April 24, 2017. Sales agent Eric told us that we were buying points at a low rate, less than $ 4 per point, and that “at this price the point value can only go up.” We could sell some points at a profit and keep the original base points for travel. Ultimately getting our entire purchase for free, he called it a “401-V”. He said he would lock the price for one year in case we decided to get more points later to utilize our “401-V”. We have since learned Diamond points are virtually worthless on resale. The forms were long and extensive. We asked for time to review the documents but were pressured into signing “today” or not get the price per point offered. After seven hours, my husband got upset and left. Eric followed us to our room insisting that we sign. We thought that Eric must be telling the truth, because if he wasn’t, there would be some sort of regulation. We incorrectly put our faith in Eric. We were referred to ARDA. ARDA’s advice leads members to scams, as licensed brokers will not even accept a listing for Diamond points, feeling the restrictions Diamond places on the use of secondary points excessive. The sales agents in Virginia were also very high pressure. They told us what we bought in Arizona was not worth it for us and that we had to purchase another 8500 points in order to keep the price of less than $4 per point. The agent said that after that day the price would be higher. We did not buy. Being deceived into attending the presentation, under the guise that we were getting an education toward our membership was unfair and deceptive. The insistence that we had not purchased enough points made us so angry we did not buy. We purchased an additional 5,000 points and switched our US Collection points to the Hawaii Collection to total 13,500 Hawaii Collection points. We met with sales agent Sequan R. This again ended up being a hard sell when we told him that we were expecting more of an educational meeting. He said he would give us all the education we need as he had left the company to give independent conferences to teach people how to maximize and exit a timeshare through “Timeshare Confidential Seminars,” but said Diamond hired him back to the sell side of the industry. We were again told “You can’t travel to where you want to go with what you have.” We have since learned that 8500 points were enough points to meet our needs. Sequan told us we could use a program called Club Combinations at least six times a year to rent out to generate income that would offset the cost of our mortgage. Sequan also told us that we are lucky that the agent in AZ locked in the price because points have already gone up to $8.00 per point so we could already sell points and double our money. Sequan said that many more high income level people are coming into this resort for the investment which is why the company started the rental program. He said at that income level people want to see a good return on their investment. I told Sequan I did not have time to spend on rentals because I work a lot of hours. Sequan said that the company would appoint someone to help us so we could start to offset our cost right away. I asked Sequan what if they don’t help us. He gave us his cell number and said to call him if that happens. We called Sequan but there was no person by that name. Later we called and asked how to rent out our club combinations listings. We were told there was no such program. There was no such thing as a rental program or selling of points for a profit. Most buyers are on vacation without funds available for a large purchase, so end up signing off on high interest rate loans. We went into debt to invest in Diamond’s timeshare points. We had hoped for great vacations and the ability to sell some points for profit as had been explained. Diamond’s motto “Stay Vacationed” for us means being held hostage. This vacation nightmare has become a major stress in our lives. Filing regulatory complaints is like having a part time job. I am a registered nurse and have spent many years working hard. My husband has worked hard for 40 years. We trusted the timeshare salespeople as we would trust any real estate broker, relying on the ethics of the real estate industry. It was a mistake. Please do whatever you can to pass this bill and not allow ARDA, a paid lobbyist, to change your minds! 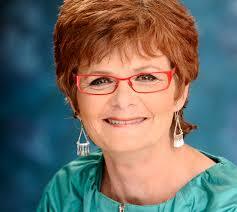 Thank you to Fran for sharing her timeshare experience. Inside Timeshare sent a draft of this article to ARDA. They did not respond. Of the 717 families who have reached out to us reporting unfair and deceptive timeshare sales practices, 99 are veterans and active duty service members. Several of the veterans are disabled, five Agent Orange disabled. Proposed Florida HB 435, in which developers are worried about members deceived by timeshare exit companies, is supported by ARDA. A recent Florida whistleblower lawsuit was filed on behalf of ten former Wyndham sales agents. The actions of deceptive sales agents also harm honest timeshare sales agents. Preparing a narration for a governmental agency or a timeshare loss mitigation department is difficult for some due to age related issues or language barriers. We’re here at Inside Timeshare, along with our Supporters, to listen and educate. Contact us or one of these self-help groups we feel are not industry influenced if you experienced unfair and deceptive timeshare sales practices. Thank you Irene and Fran, it is now down to you the readers to do your bit and make your voices heard, this bill is to protect you the consumer, do not let the industry that has walked over you for years do it again. In Spain, the law is on the side of the consumer, the industry is being taken to the cleaners after years of predatory selling, with many other European Countries with timeshare resorts looking to follow Spain’s lead. 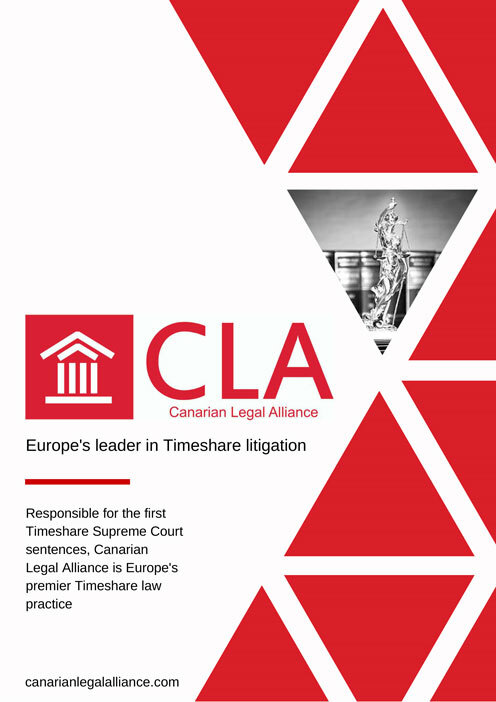 This is a result of the European Union issuing several directives on what timeshare is and how it should and should not be sold, which each state having to place this into their own laws, Spain was by far the strongest in its implementation. It took many years to get to this stage, but at least the consumer has the full protection of the law. After we published our interpretation of Florida HB 435, Inside Timeshare received the following Manifesto written by an Industry Insider. Part I examines the history of exit companies. Of note is the mention of the role private equity plays in today’s timeshare industry. Private equity firms played a major role in the junk bond debacle of the 80s and the subprime mortgage crisis of the 90s, so it is of no surprise to find private equity firms directing timeshare today. A junk bond or a subprime mortgage had some value for the borrower, but a timeshare contract, often adding up to $100,000 or more, is worth next to nothing should the borrower need to sell. WHAT DO THIRD PARTY TIMESHARE EXIT COMPANIES (“TPE”) TELL US ABOUT THE FUTURE OF THE TIMESHARE INDUSTRY? Are Third Party Exit (“TPE”) companies selling a product that is largely undeliverable? If the product is undeliverable are all remaining TPE’s simply exhausted Ponzi schemes awaiting implosion and bankruptcy? How many Customers in the last 12-48 months have paid thousands of dollars for services yet remain unresolved, un-exited, un-refunded, and are still on the hook for their timeshares? How large is this Exodus? In this manifesto we shall attempt to break down into layman’s terms the causes and effects on the Timeshare Industry at the hands of the so-called third-party timeshare exit companies or “TPE’s” and eventually in Part Two, draw public comment for a new business proposal to remedy and resolve some of the issues. We shall also reminisce at some of the more notable examples of earlier ill-fated timeshare exit businesses, all of whom reveal the starkest of similarities. In doing so, we will also be commenting on the chest-beater from the Industry in the form of a Sept 17th 2018 public release. Sadly, we shall also be debating the unconventional elephant that still sits in the room. Why is there such resistance to owners exiting a Timeshare? Why is there no organized, unionized, “brand supported” exit & secondary market offering that satisfies the disposal needs of owners who are aged, retired, unwanted beneficiaries of, no longer travel or are on Federal poverty levels? “On Sept 17th 2108 the Timeshare industry, the American Resort Development Association (ARDA) and ARDA Resort Owners’ Coalition (ARDA-ROC), have united to stop the misconduct of those deceiving timeshare owners into paying for illusory timeshare exit services through fraudulent means”. I applaud the Industry on the use of the word “illusory’ as defined as: “based on illusion; not real.” In what appears to be a long overdue case of karma, the timeshare industry is altruistically defending its long suffering, desperate “exiting and cancelling” owners from paying for illusory exit & cancellation services. We speculate that in the last 36 months a crescendo aggregating to millions of owners had the audacity to want to end their Timeshare experience and as a result many hired Lawyers and Advocates and spent tens of millions of dollars in an attempt to get rid of their timeshares. Most of these fees were paid upfront, and most were promised that fees were 100% refundable if the exit contract expires and one still owns one’s timeshare assuming the Lawyer or Advocate is actually still in business! Customers are asked to pay $7500 or more ‘upfront’ to be represented or advocated. Most marketers claim that there are magical back passages into resorts that take back the timeshares quietly in a forbidden black market open to only the special few. Marketers support this notion by suggesting that if the resorts were to publicly announce that they take back timeshares there would be an immense exodus of cancellations. No present evidence supports this tall tale. The Timeshare Industry is familiar with the exiting, canceling or generally getting out of a timeshare scam. As we can see Timeshares are complex and very sticky to get rid of. The Industry continues putting TPE lawyers and advocates out of business and into bankruptcy, yet the Industry cannot find a solution to the real problem – an evident immense Exodus. Nothing, other than Moses leaving Egypt could be compared to the TPE Companies assault on popular branded timeshare owners in 2015 – 2018. All the major brands had rolled out vacation club programs with all types of new generation upsells and exchanges. Publicly traded companies in the hotel, recreation, leisure and timeshare industries had begun curiously separating their timeshare divisions into new public companies. Yet at conventions, the Resort Owners, Lawyers and Administrators all reported that their biggest headaches were the Exit firms. Their disruptive activities caused added administration issues, defaults, millions in lost revenues, angry customers all dealing with these flimsy cancellation letters from dozens of Lawyers and hundreds of Advocates interrupting contractual obligations and communication with the customers. They all knew where this would end…owners were paying thousands upfront for services that weren’t going to happen. Owners were routinely signing and notarizing Powers of Attorney to exit companies like they were signing Christmas cards! This wasn’t a cottage industry any more. It was an epidemic that had to be eliminated. The cause; The Timeshare Developer/Owner HOA true concerns are the financial effect that an immense Exodus of Owners and the sudden loss of payment of residual annual fees would have on the bottom line. The effect; The Timeshare Industry has adopted a widely “illiquid” stance based on the capture of customers annual fees. The Timeshare industry survives in a very large part from customers annual maintenance fees. Where did this idea of how to bilk the Timeshare Industry come from? In 2004, Uri Fried, an Israeli businessman and so-called inventor of the Third-Party Exit (TPE) business sent millions of postcards to timeshare owners inviting them to get rid of their timeshares for an upfront fee. Uri had formed over 50 straw buyers LLCs and began transferring thousands of unwanted timeshares per month into his LLCs. For several years Uri’s activity went relatively unnoticed by developers and resorts. Along the way Uri sold timeshares on eBay for $1 thus cementing the perceived market value of second-hand timeshare at one-dollar. None of Uri’s LLC’s ever paid a cent in maintenance to any resorts. Uri ended up serving a couple of years for $1.9m tax evasion. In 2017 Uri settled all misrepresentation charges with the State of Wisconsin for $132,000 and received a lifelong ban from ever handling timeshares again. None of Uri’s ill-gotten gains were ever recovered. Uri Fried woke the Industry up to the vulnerability of the Viking Ship LLC exit scam. The Resorts & HOAs were so fragmented. Collectively, they had no clue what Uri was up to. Uri’s customers owned everything and anything. Uri knew he was never going to pay a penny in dues or maintenance, so he stuffed them all into his defaulting LLCs. If the Resorts grew suspicious of the LLC name(s) Uri would simply create new ones. Eventually the resorts smartened up and unilaterally responded by refusing to honor or acknowledge transfers to certain suspicious names and eventually certain transfer companies. The Developers had falsely believed that some level of organic secondary market had been occurring. As the industry is so hugely fragmented the major developers were fooled for a while. As we shall see, the Viking Ship LLC model grinds slowly to a halt when the resorts block or refuses customer re-registrations and transfers. However, the TPE’s marketing machines continue “in almost every case” to sell new Customers on getting rid of their timeshares, in order to continue to collect thousands in what surely become ill-gotten fees, thus becoming a Ponzi scheme; whereby new monies pay off older refunds. After the failure of Uri Fried’s business, an alternative Viking ship business became strongly marketed; Attorneys claiming to ‘cancel’ a timeshare. On behalf of Owners who retained the firm, Castle Law (and others similar) wrote to the HOA’s and Resorts and in some cases Lenders, a series of scalding, lawyerly stamped, heavily embossed, important looking letters accusing and maligning the Resorts with allegations of much malfeasance, misrepresentation and fraud in the inducement. Told that this offer is good for today only. Told that timeshare – like all real estate will appreciate over time. Told the timeshare presentation is only going to be 90 minutes. Told the timeshare is in such demand it could always be RENTED for a profit. Told you will be attending an “update” to discuss questions (also called a policy change, owners update, etc.… – later it was actually a sales presentation). Told that this is not timeshare but Vacation Ownership or Vacation Property. (You) were subjected to high pressure sales tactics or felt that you could not leave the presentation without purchasing timeshare. The timeshare sales agents plied you with champagne (or other alcohol or drugs). The timeshare sales agents assured you, you could cancel if we had second thoughts/buyer’s remorse. Attorneys and Advocates, armed with Limited Power of Attorney, filed cease and desists on behalf of owners. Attorneys were demanding that the Resort have no communication with the aggrieved customer (s). Simultaneously, customers were instructed not to communicate with their resort, and to forward any communication from the resort to the attorney or advocate. It wasn’t long before far less scholarly ‘advocates’ caught on to the jolly wheeze and suddenly millions of timeshare data records were for sale and hundreds of thousands of robo dialed calls an hour were being made to every timeshare owner looking for people who wanted to get out of their timeshares. Unbelievably, millions of owners wanted out. Reed Hein are the guys advertising on TV. Estimates show that ReedHein is now the largest timeshare cancellation firm in the USA. We wonder what ReedHein is doing differently from Uri Fried, The Macmillan’s, ACC and other notable predecessors. Ok, why isn’t there a secondary market for Timeshare? The Timeshare Industry publicly abhors any notion of a secondary market almost as much as the Wicked Witch of the West abhors water. Let’s say you buy a Westgate ‘second hand’ at 90% off current Westgate prices from eBay. Westgate takes on the risk that you will or won’t pay its annual fee’s. Unlike the auto business, the timeshare core product is the same in “both Primary & Secondary Markets,” the most glaring disparity is price. All the frontloaded exorbitant sales commissions, fees, marketing expenses and popping champagne are in the primary market versus a vast global array of venue choices at huge discounts available in the Secondary Market. Sadly, developers use punitive measures to hamper and deter secondary market purchases of Points based/Club, Right to Use contracts by restricting further points accumulation (s), restricting booking access or exchange, restricting access to deed back and contract back programs, voiding visiting guest rental certificates and other contractual privileges. Certain developers’ restrictions have been described as downright draconian! The Industry publicly states in countless SEC filings that a Secondary Market would cut deeply into the Industries profitability. We can see why they would be worried. In loosely translated SEC language that means the entire industry agrees with the notion that a secondary market should not exist, and they will stamp on the windpipe of any attempt to conjure a secondary market. This cannibalistic, illusory industry has a bone through its nose! As the industry makes sweeping, ubiquitous, cannibalizing, business decisions we urge serious consideration to the real threat to the future bottom line. As the Industry has discovered, there is a serious flaw to timeshare. Having built these lavish, illusory, granulated palaces, one must continue to sell to new mug punters who are still naive enough to sit through a bruising several hours long presentation and then when sufficiently punch drunk, pick up a pen and sign complex contracts that one has never read nor had the opportunity to do so, nor to many if read would actually comprehend. This is the sales model of the Primary Timeshare market? Is this the best they’ve got? Possibly that’s the reason behind the aforementioned public company players in timeshare creating new public companies for their Timeshare only assets. Maybe they also see the writing on the wall of this woeful sales channel and are protecting their other core assets from devaluation. After all, how many mug-punters could there possibly be? In a 2017 Orlando Sentinel News story, Mr. & Mrs. Morrison stated they are horrified by what they did on their last vacation to a Wyndham Resort in Orlando. They paid $25,000 to buy a timeshare, after a four-hour sales pitch that wore down the couple’s resistance and skepticism. Now they’re being hounded by people promising to get them out of the contract — if they pay an up-front fee. They don’t want to pay out any more money and aren’t sure who to trust. “We can’t afford this,” said Morrison, 69, who lives near Ottawa, Ontario. She says Wyndham offered to put them in a program that will eventually allow them to sell their timeshare, but they aren’t sure how long it will take. “Why won’t someone help us and put a stop to this?” she said. Wyndham didn’t respond to questions about the Morrisons’ case. As if the Industry abandoning its aged, non-using, beneficiary owned and generally unwanted/unaffordable owners wasn’t bad enough, the Industry thwarts every attempt to stop an immense Exodus creating a need for Lawyers, Advocates and evidently miscreants and swindlers. If Timeshare is an investment in making memories in people’s lives then shouldn’t it know when it has outstayed its welcome? 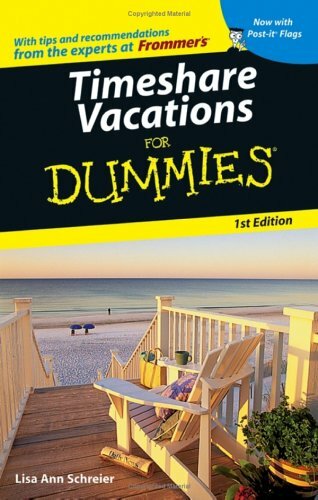 This of course is all karmically comical as the Timeshare Industry has cut its teeth on brutally sharp practices of high-pressure selling techniques, flogging its wares in well documented grueling four or five hour long “90” minute information breakfasts. The Industry is undeniably infamous for pitching heat. Sales offices manned with trained professionals are often well trained in manipulative sales techniques. These timeshare hit-men pitch to the giddy, all too often inebriated, vacation-minded unaware prospects. It has been alleged that commission driven sales people often misrepresent overly complex customers contracts, agreements, loan documents, mortgage addendums all of which are tragically packaged by Closers, TO’s (Take Overs), Hail Mary’s and Managers at a table somewhere in a Timeshare sales room. Their only compensation is the commission from a sale. Can you hear the champagne popping corks now? The Supreme Court of Tennessee disbarred attorney Judson Wheeler Phillips, founder of the Castle Law Group, on a myriad of charges relating to consumer fraud complaints. In the past few weeks, Castle Law Group has ceased business operations following federal lawsuits brought by developers against Castle Law Group and those acting in concert with the firm. Wyndham’s pursuit of American Consumer Credit (“ACC”), ACC’s principal, Dana Micaleff and attorney, Michael Saracco, resulted in ACC filing bankruptcy on September 7, 2018. Attorney Michael Sarocco, stated that Canadian entrepreneur Micallef always had “good intentions”, however things fell apart when developers and resorts wouldn’t allow ACC’s clients to break their contracts. Castle Law & Judson Phillips were among the pioneers of the timeshare law firm and the cancellation business. Castle law had dozens of tertiary businesses who were marketing Castle Law services. These marketing firms fed Castle Law with thousands of desperate owners who were willing to pay $7500 or more “upfront” to exit their contracts. In order to understand the scale of timeshare in the USA, the Timeshare Industry does about a $9billion a year in gross revenue. About 9.4million ownerships exist. There are approximately 1600 resorts. Average maintenance is approximately $900 a year. The Industry aggregates approximately $8.5billion from maintenance annually. Plus 25,000 weeks x $900 maintenance p/a = $22,500,000 per year. The MacMillans ran a bunch of Viking Ship LLCs and their own transfer company in a timeshare transfer operation that resort owners alleged was bilking the industry out of hundreds of millions of dollars over a period of about nine years. In 2008, spurred on by a failing economy and the USA housing crisis, the MacMillans operated over 65 straw buyer LLCs claiming that in exchange for several thousand dollars upfront, owners could be released from any timeshare contract. The MacMillan’s prize-winning company based in Torrance, California held sales meetings for owners by the bus load. Hundreds would cram in waving their credit cards in readiness. The MacMillan’s charged $6000 or more and allegedly mishandled over 120,000 timeshare contracts before becoming the target of the Attorney General of California. RICO allegations from Plaintiff Wyndham Hotel & Resorts proved undefendable. The MacMillans were banned from the business. They didn’t pay a single cent to the resorts in maintenance. Most of MacMillan’s eager customers found they were still on the hook for their timeshares. David MacMillan filed bankruptcy in 2016. Once again millions of dollars in ill-gotten gains went unrecovered. In a karmic twist of fate, Macmillan’s own transfer agent transferred thousands of the Macmillan’s Viking LLCs timeshares back into the original owners’ names before leaving the scene of the crime and left the Macmillans to take the fall. By 2014 Timeshare Exit marketing companies had mushroomed up all over central and south Florida, Tennessee and Missouri. Most of the new crops were marketing firms owned and run by seasoned telemarketing recidivists or by ex-timeshare sales people, some of whom had access to valuable owner data. The marketers, mostly acting as advocates, fed a variety of attorneys and both shared in the customer fees. In call center parlance this new business represented a new ‘data’ vertical. Call centers that had previously run ‘data’ looking for mortgage consolidation or debt relief were suitably adaptable for Timeshare Exit marketing. The busted timeshare Resale/Rental telephone scams that had left many recently unemployed in south and central Florida simply redeployed themselves. Some sales people told sad stories of repenting for all the lies they had told while selling Timeshare. In Phillips’ case, the Tennessee Supreme Court disbarred Phillips after reviewing upwards of 18 client complaints, many of which made similar allegations of fraud, highlighting a pattern and practice of misconduct. In its ruling, the Tennessee Supreme Court found that Phillips “poses a threat of substantial harm to the public.” Central to the series of complaints were allegations that Phillips and his business partners misled and/or defrauded consumers by taking exorbitant fees from timeshare owners for purported timeshare exit or cancellation services based upon fraudulent and misleading representations. The ACC case is based on various legal theories, some of which are founded in Federal law, known as the “Lanham Act of False Advertising”. The case remains pending against Micaleff, individually, and Saracco, individually, although an automatic stay has been issued relative to ACC in the U.S. District Court action as a result of the bankruptcy filing. That, however, has not deterred the prosecution of the case. As of today, there is a motion pending against Micaleff and Saracco to punish them for, among other things, failing to appear for a deposition. “The constant pressure that our member companies, owners and federal and state agencies are putting on disreputable timeshare exit companies has again produced a positive result for the consumer,” said Robert Clements, ARDA Vice President of Regulatory Affairs. Diamond Resorts implemented an aggressive litigation strategy in pursuit of third-party exit companies for their nefarious and unlawful conduct in an effort to protect the interest of their members who were promised outcomes that could not be legally accomplished. The number of customers who “wish to exit” an owned, fully paid up timeshare is an immense Exodus. Far higher than was ever imagined or projected by the industry. The elephant in the room is that there is still no safe exit from unwanted timeshares and no robust market with which to capture and reposition the unwanted timeshares. In light of the recently filed Florida House Bill 435, one must question the fates of the remaining exit and cancellation firms including; Resort Release LLC, The Newton Group & Reed Hein AKA Timeshare Exit Team amongst others. It is obvious by the recent advertising budgets expended on TV, Radio and all other assorted media, along with the number of employees and general expenses to run these TPE’s that there are probably millions of Owners who have already paid Fees to exit or dispose of a timeshare in the last 12-36 months that are as-yet unresolved and may begin actions suing for refunds. The Term of a TPE’s contract generally offered is 12-18 months. We are sure many contracts have now been extended far beyond their legal limits. All the previously named TPE’s and Law firms offered a 100% refund upon eventual nonperformance, assuming they were still in business. By monitoring the largest TPEs on social media and by paying particular attention to present and past customers reviews, it is evident that satisfaction is extremely low and that refunds are aggressively being sought. How many hundreds of complaints like these does it take before another AG steps in or another exit company gets driven to bankruptcy by an aggrieved resort or the FTC? Exit firms can’t get rid of your timeshare unless the resort ‘wants them back.’ Most Timeshares are indeed worthless. All timeshares come with some form of annual cost. In light of 2018’s vacationing and travelling popular habits, the notion of paying an annual fee is not popular or appears economically attractive. It may well be true to say that all TPEs charge upfront fees for truly illusionary services because they now know within a moral certainty that their customers will get nothing for their money. One would have imagined that Timeshare Developers, being an enterprising bunch, would have figured out how to ‘selectively take in’ enough exits & cancels to quell this Exodus problem. This sensible move would have made the TPEs redundant and quickly ended the third party exit business by allowing worthwhile and fitting exits for owners, for a small fee. This, however, further highlights the possible size of the immense Exodus problem. Thank you to our new contributor, at some point he will reveal himself, but we look forward to Part Two of the Manifesto. Remember if you are unsure about any company that has contacted you, or that you have found yourself on the internet or from an advert, then contact Inside Timeshare. If you purchased your timeshare in Spain or upgraded after 5 January 1999 and would like to know if you have a valid and viable claim then Inside Timeshare can point you in the right direction. Welcome once again to Friday’s Letter from America, this week is Earth to ARDA, it is an open letter to Mr. Clements, Mr. Nusbaum and Mr. Roth, it is jointly written article by Eron Grant and Irene Parker. Inside Timeshare can also report that the US team have had three resolutions this week. Diamond is Listening. So well done all the US volunteers. This week has been a rather busy one for the courts in Spain, with three sentences from the Courts of First Instance, two from the High Courts and ruling number 90 from the Spanish Supreme Court. 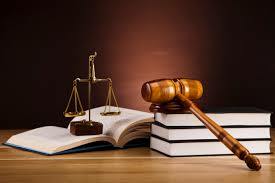 Anfi have had three judgements against them this week two at the Court of First Instance and one at the High Court. In the first two, Court Number 3 at Maspalomas, GC found for the clients, declaring their contract with Anfi null and void. This case was highlighted in the Tuesday Slot with Irene on 6 March. The second case, held at Court Number 4, again in Maspalomas, another Anfi member had their contract declared null and void. Ordering the return of over £15,000 plus legal interest. In the High Court Number 5 in Las Palmas, the judge again declared an Anfi contract null and void, with the return of over £14,000 plus appeal legal fees and interest. In the same court another timeshare company Airtours has had one of their contracts declared null and void, with the judge ordering the return of over 12,000€ plus legal interest. At the Court of First Instance Number 4 in Fuengirola on the Costa del Sol, Club la Costa has been ordered to return over £19,000 including legal fees and legal interest. The contract was also declared null and void. In the Spanish Supreme Court in Madrid, another historic ruling, bringing the total number made by the Highest Court to a whopping 90! This was against the Tenerife operation Silverpoint, again the contract was declared null and void with the return of over £10,000 plus legal fees and interest. There will be full article on this and another Supreme Court ruling next week, so keep an eye on these pages. All these case have been brought on behalf of the clients by the Arguineguin law firm Canarian Legal Alliance, no doubt the clients and the lawyers will be celebrating this weekend. In other news, we had an enquiry into another company contacting Club Class members, this call was from a Madeline Swann of Gateway Services, apparently based in Telford. In the call she is telling the client that there is a payment due from the banks for being mis-sold his Club Class membership. All he needs to do is pay a certain amount by bank transfer to a Santander account to have the money released. Haven’t we heard this one before? On searching for this supposed company nothing came up, no company house records, nothing. So if you get a call from this Madeline Swann or anyone else saying they are from Gateway Service, do let us know. Remember, there will not be any money waiting for you from the banks or the courts. You can file a complaint with the weakened Consumer Financial Protection Bureau, but since companies like Diamond and Bluegreen service the timeshare loan, members don’t even know the name of the lender unless the borrower has a lower credit score. Quorum Credit Union handles the lower score people. 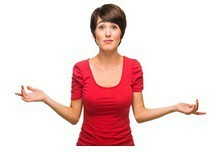 You have to select a lender from the CFPB drop-down menu. Timeshare companies are not an option. Onward with complaints, they will file with the Florida, Hawaii, Minnesota and Nevada Attorneys General. The Florida Timeshare Division only acted on 110 out of 2,360 timeshare complaints from April 2012 to April 2014. Then there’s the state real estate division in Florida and Hawaii against Diamond’s Hawaii sales agent John Jessup and Florida sales agent Rafael Carerra. If Diamond won’t help them, it’s possible the Simmons will lose not only their vacation points, but also their home, according to their daughter Angela. Angela said the $2,700 a month Diamond loan is a significant portion of their retirement income. It’s doubtful any of the filings will have an effect. Angela is surprised all of this is like a ten hour a week part time job. Like Kevin and Brenda Hopkins, the Simmons are supported by Whistleblowers of America, an organization dedicated to seeking justice for military and government workers. Lawmakers are beginning to listen, a few Attorneys Generals are listening (not Florida or Nevada), regulators are listening, and the FBI is listening. ARDA is not listening. Sure, there are 9 million happy timeshare owners who own and enjoy their timeshare. They might not have been affected by a life crisis, only to learn their timeshare has no secondary market, or been sold or up-sold by a deceitful bait and switch. By your own accounting, 83% of timeshare owners are happy. That leaves 1,530,000 members that are not happy. Over 900 Diamond members complained to the Arizona Attorney General’s office accusing Diamond and their sales agents of violating Arizona’s Consumer Fraud Act. Complaints to our Advocacy Group have not diminished since Arizona Mark Brnovich issued an Assurance of Discontinuance. The AOD is linked at the bottom of the press release. Early complainers consisted of over 1,000 British Diamond members crying foul. My husband Mark and I have kids. We are working professionals. We said we need to travel close to home. Our Diamond sales agents said, “No problem!” Grapevine, Texas Great Wolf Lodge sounded great! It was a bait and switch…. 19,700 DRI points required @ $.22.5 maintenance fee $ = $4,432 for three nights. What ARDA Code of Ethics? Let’s review this Code. I actually read it. Question: Why does ARDA have a Code of Ethics? Answer: ARDA and its members are committed to the highest standards and ethical behavior in vacation ownership. To demonstrate that commitment, all ARDA members as a condition of membership must agree to comply with the ARDA Code of Ethics. The Code consists of not only general conduct requirements, but also specific requirements for members to adhere to when transacting with consumers, standards for disclosure of information to the public, rules regarding resort management, base guidelines for resale activities, as well as administrative procedures for interpretation and enforcement of the Code. Note from Eron and Irene: Diamond points have no resale activity. We think this is something a consumer might like to know before signing a perpetual contract. What can be done to a (an ARDA) member whose actions are in violation of the Code? Note from Eron: In addition to Diamond members giving ARDA ROC a million dollars a year, Diamond President Ken Siegel sits on ARDA’s Board of Directors. Diamond members are billed $7 for a “voluntary opt-out” donation from members who in all likelihood cannot even tell you what ARDA ROC stands for. I know I had no clue what the letters ARDA ROC stand for. Question: Who do I contact if I have questions about the Code? Answer: After reviewing the provisions of the ARDA Ethics Code, if you have questions, please call 407-245-7601 and ask to speak to the ARDA Ethics Administrator, or e-mail [email protected]. Note from Eron: After waiting 4 months for a response from Julie Schwartz (not Lobbyist and General Counsel Robert Clements because he would not take my call), I’m not feeling optimistic about making a phone call to ARDA’s Ethics Administrator. The fact you have to email customer service is not a good sign. Note from Advocate Irene: I have sent ARDA about 100 of our most grievous complaints from Diamond Resorts members, seniors in fear of losing their home, military members in fear of losing their Security Clearance, alleging they were victims of fraud for profit. Not a word other than through the timeshare grapevine, “She’s writing articles for people.” No I’m not. I edit articles submitted to Inside Timeshare. Inside Timeshare has received 340 reader complaints, 78 since January 1. Our Diamond Advocacy Facebook page has over 1,000 members, Bluegreen members’ Facebook 800 (they are trying to keep their membership below 800). Question: Does ARDA support the consumer? In our opinion, only when the issue at stake is in line with developer’s wishes. One Advocacy Group banned ARDA from attending their meetings after a 2015 Florida bill was passed making it more difficult to get out of timeshare contracts due to nonmaterial errors. Question: What does ARDA do with the information it receives from the general public regarding the potentially unethical conduct of its members? Answer: ARDA does not mediate or arbitrate individual disputes between consumers and ARDA member companies. When we receive information regarding a potential violation of the Code we forward those complaints to the company for their consideration and resolution. Note from Eron: Who sits on your board and gives you a million dollars a year. It is then up to the respective parties to resolve any potential dispute. Information submitted by the public may be used by ARDA to act against members when there is a consistent pattern of business practices that are in violation of the code. Note from Eron: What about the 900 Diamond members who complained to the Arizona Attorney General? Better Business Bureau lists over 1,000 complaints. Like Eron, we purchased points for a specific location, New York City. Our daughter lives there. Like Eron, we learned it would cost approximately $8,500 in Diamond maintenance fee dollars to stay one week at the same hotel, same time for $950 through an online booking service. I checked year round. Next, we attended a predatory sales presentation at Diamond’s Grand Beach in Orlando. I spent three decades in sales selling everything from pianos to stocks and bonds. I know a predatory sales agent when I meet one. Thoroughly disgusted, we went back to our room at Mystic Dunes, turned on the television, and saw the Queen of Versailles, a FOX News Property Man segment about Jackie and David Siegel, the owners of Westgate timeshare building their 90,000 square foot home. We were in the process of moving from Kentucky to Venice Florida, so it just seemed natural to write an article called “The peasant of Venice and the Queen of Versailles” describing wealth out of touch with reality. One true benefit of owning Diamond points has been developing relationships with other professionals, over 1,000 of us, who have bonded together like a band of brothers and sisters, to fight widespread timeshare corruption we feel is so ingrained in the timeshare industry, it is accepted and considered normal, kind of like #metoo or sexual abuse, as happened at Michigan State. Look how long that went on. At least timeshare members are finding each other now, no longer silenced and isolated. When timeshare members need a voice, they can contact Inside Timeshare. We can help. If you need any information about this or any other article, company that contacts you or you have found on the internet or advertising in the press, then contact Inside Timeshare and we will point you in the right direction. It pays to do your homework and due diligence before engaging with any company, not all are what the say. 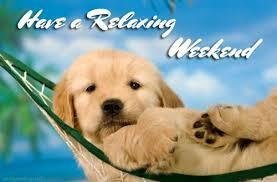 Have a great weekend and join us next week. Today’s article is rather disturbing, it highlights how members of the armed services and veterans are being targeted by unscrupulous sales agents. For people who put their lives on the line, this behaviour is particularly obnoxious. Diamond and ARDA seek to destroy me. I know that sounds melodramatic, but sources tell me it’s true. I’m confident this will happen sooner rather than later. The industry and ARDA’s answer to our advocacy efforts is to behead the messengers rather than examine the business practices of top selling agents. I’m told one executive even commented, “They are victimizing the uneducated,” in regard to Timeshare Advocacy Group™ and our efforts. Please read the American Resort Development Association’s (ARDA) Code of Ethics and Eron Grant’s article about the code before reading the following ten reader reports about their allegations of deceit. Diamond Resorts and Bluegreen each give $1 million a year in the form of voluntary “opt out” donations to the timeshare lobby, a PAC, called ARDA ROC. Members are told it is a nonprofit that helps timeshare members. It is doubtful many members even know what the letters ARDA ROC stand for. Marriott’s contribution is an “opt in” donation. It took several calls to have my $7 removed from my account. When I called in November, I was told it was a delinquency. Having researched timeshare for over two years, I was able to determine the $7 was moved from one account to another. I suspect it was to have me forget about it as it mushed into the 2018 invoice. In a span of ten days, Inside Timeshare has been contacted by seven active duty and retired military, describing how they say they were defrauded by predatory timeshare sales agents from four companies. A 100 page summary of 249 complaints against timeshare sales agents and companies is available upon request by regulatory authorities. Of the 249 complaints, 233 are against Diamond Resorts. I am a Diamond member. I did not choose to do business with Diamond. We were acquired in the ILX Arizona acquisition. If I were instead a Bluegreen member, 233 out of 249 complaints would be against Bluegreen. Bluegreen members have their own Advocacy group supporting members who want out of their Dream Vacation that can become a Nightmare when a life crisis occurs. If seven members of the military, describing how they say they were defrauded were not enough in a week, Gay and Ed Brewer called me yesterday. My husband and I owned a bioavailability pharmaceutical research laboratory, but I have heard more grave medical conditions in the last two years assisting timeshare members, than I did in ten years as president of our company. First, here is Diamond’s Rebuttal to my article written for Jim Cramer’s TheStreet about Apollo’s acquisition of Diamond dated June 30, 2016. It is also incorrect to state that Diamond Resorts is “not interested” in liquidity in the resale market for timeshares because the company profits from “reclaiming” vacation ownership interests that are defaulted on by the customer. To the contrary, Diamond Resorts understands that customers experience life events that change the circumstances from when they originally purchased vacation ownership interests. That is why the company not only permits resales, but we also recently announced a new “Transitions Program” to launch soon, and will allow those in good standing to relinquish their points to the company in a simple, safe and respectful manner. The snag is “in good standing” because almost all timeshare members contacting Inside Timeshare say they were pressured into high interest rate loans. All timeshare companies can and do cancel loans. I’ve come to learn it is a matter of who wears down whom first. Ed’s heart stopped beating three times this past year. He has had a prior heart attack. He has had a Pacemaker defibrillator implanted which has fired three times. He cannot fly on an airplane or be exposed to high altitudes. He is monitored 24/7 by a Holter monitor. We had to evacuate our California home due to the Liberty fire. At present we are receiving 12 collection calls a day (six each) from Diamond’s collection agents. Deneice Vargas, another Diamond member in foreclosure (her husband Louis is diagnosed with Bell’s palsy), told me “When DRI Consumer Advocates are not busy advocating for members by researching and providing the member’s initials on the fine print, in response to “the sales agent said”, they make collection calls.” The oral representation clause may make this legal robbery, but Social Media is eventually going to catch up. Several attorneys have told me the oral representation does not allow timeshare companies to get away with sale agents who lie, but there is virtually no enforcement. State enforcement is spotty at best. We are asking our loans be cancelled due to medical and financial hardship. We were told we would not be able to use our Monarch week unless we bought DRI points and that our Monarch week was worthless. We were never told of the option to deed back the week to DRI. Due to the burden of medical bills, we have not made payments since July and will not be able to make future payments. We contacted Exit Timeshare as they guarantee timeshare release but they said they would charge us $28,000. I contacted Irene Parker. She told us to contact Diamond Resorts Consumer Advocacy instead. She said DRI Advocates have helped many in our situation. We were not aware there was a DRI Advocacy program. Please contact us as soon as possible. It was never our intention not to meet this obligation, despite the fact that there was never adequate availability when we tried to book and we were never told of the option to deed back our Monarch week. We have learned that on TUG Timeshare Users Group, DRI is accepting more than 95% of requests, if in good standing. Mr. Melendez, DRI Complaint #207/233, is the eighth Platinum member to contact Inside Timeshare alleging financial institution fraud, deceit and bait and switch by DRI agent Rick Casper. The depth of corruption and the degree of criminality is now over my head, based on Karen Varten’s and Samuel and Delores Melendez report preceded by 231 others. Mr. Melendez and Ms. Varten have both reported a negative outcome. The Melendez family Edward Jones financial planner contacted me, so I am responding on the family’s behalf. I retired from Edward Jones Hawaii. Their EDJ financial planner had researched timeshare a little and found a law firm offering legal assistance for well over $10,000. He asked me if he should refer the family to this lawyer. I have nothing against the firm he mentioned, but I told the EDJ broker to hold off because I have referred seven other Rick Casper Platinum up-sells to Diamond Resorts Consumer Advocacy and they have helped all of them. They reported a positive outcome, albeit one needed the assistance of the Arizona Attorney General. What did Mr. Melendez receive from their Diamond Consumer Advocate as a response? Basically, they received a reminder of the oral representation clause, and their initials on the fine print, despite seven other identical Rick Casper complaints from members who received positive outcomes. I spent a good two hours on the phone Monday with the FBI. My new neighbor is a federal prosecutor on sabbatical from California. I asked him for advice, but he only knows about murders. After speaking with the FBI (for the fourth time), and a few lawyers, I am convinced the oral representation clause does not hold water when used to hide behind. The FBI explained what it’s going to take, so we are filing complaints first on the FBI website IC3.gov and then orally, on the FBI tip hotline, found on the FBI website. Rick Casper is not the only DRI sales agent pitching bogus resale and maintenance fee programs that don’t exist. We have recently received complaint about a Las Vegas sales agent by the name of Adam Mendenhall offering point upgrades that would allow paying maintenance fees at $.30 per point. This program does not exist. DRI sales agents that make $1 to $2 million a year in commission tend to get more attention. One of our core advocates is a Tampa detective. She has advised us to file with the Nevada Real Estate Division. She was duped by Bluegreen. Like the detective, Scotty Black, DRI Complaint #164, works in law enforcement and has a MS in Criminal Justice. At least I have some help. George and Amanda Jones, DRI Complaint #211, a married couple living in Virginia, are Navy computer technicians. Scotty, George and Amanda cannot afford their timeshare because of being told it would be easy to get their timeshare refinanced at a lower rate because the DRI sales agents told them there are many companies that specialize in refinancing timeshares, among other allegations. Forced into foreclosure, they could lose their security clearance and their job. Last week I was contacted by seven members of the armed forces, active duty and retired, four DRI complaints. Only the Air Force is not represented. Karen Varten, DRI Complaint #219, a Platinum up-sell, was contacted by DRI Marketing San Diego, hosted by Florida DRI sales agents in Virginia. Karen owned 57,000 points. She was told if she bought 25,000 additional points (totaling 82,000), if purchased today, she would have double points so 165,000 points to cover all maintenance fees and still have points left to travel. What was the response to her complaint? She was provided her initials on the contract. Preying on the young and old is bad enough, but Mr. Melendez taught our young men and women in the army how to defend themselves against biological, chemical and nuclear weapons. He sent a lot of those young people to war, and some of them did not return, protecting (alleged) predators like Rick Casper and, as the reports below offer compelling and compounding evidence, Diamond Resorts as well. Circumstantial evidence is still evidence. Mr. Melendez has filed complaints with the FBI and the BBB. In the unlikely event DRI will help this family, please contact him by Wednesday, before we publish this article. There would be nothing that would make me happier than to end the year with a happy outcome for someone who spent 21 years teaching soldiers how to be protected from biological, chemical and nuclear weapons, instead of forcing this family to fork over – more than $10,000 the family will need to pay an attorney to get them out of this mess if DRI does not help them. After the last Rick Casper up-sell, their monthly payment has escalated from $431 a month to $2200. They told me they told Mr. Casper they were worried about passing this burden on to their heirs. All of the Platinum members listed below liked DRI, but now tell me they think this is the most crooked company in existence. I feel a little like Martin Luther, thinking the Catholic Church would appreciate his exposing corruption in the Catholic Church. ARDA has had the same reaction as the Pope did then. A copy of all reports is sent to ARDA’s General Council and CEO in the hoping they will read their Code of Ethic. Seven other Rick Casper Platinum up-sells totaling $819,000 including Mr. Melendez $133,000. During our meeting we were told about all the new changes that had been discussed at the Dinner that would allow us to sell our points. My husband has Cancer so all that was going through his mind was trying to make a choice that would help me later on if the Chemo doesn’t work and when Rick Casper convinced him this was the answer that’s all my husband heard. When we were in that office he was Stage 4. He has Colo-rectal Cancer that has spread to his Liver and Lungs. Our Las Vegas trip was something we wanted to do before my husband started his treatment. I don’t understand how the DRI finance team could even approve us for a $75,000 loan for Timeshare Points when we had been turned down from two different companies while trying to refinance our house just this past year. Both requests were for under $100,000. Mr. Casper said on at least four occasions I was eligible for a Pool Party Upgrade that would provide an exit strategy. He said the program was about to expire so I needed to write a sentence that said I wanted to do this and he would get the purchase approved. I never received a copy of the sentence. The purpose of the purchase, according to Mr. Casper, was to make my existing points more valuable. Mr. Casper went on to explain that this exit strategy would allow me to monitor and sell the points. He mentioned that he is a family man and does not want to pass his points and maintenance fees on to his kids. I continued to ask questions about each benefit so that I would be certain. I worded questions differently to see if I would get the same answer. I threw out this scenario; “If at the end of the year I have 30,000 points still sitting in my account, you’re telling me that I can get reimbursed cash for these points at $0.30 per point.” His response; “Absolutely – You contact Dan Percy and he will load $9,000 onto the Visa card.” We purchased 40,000 points to get us to the level of “Super Platinum”. We purchased an additional 20,000 points on July 16, 2016 for $55,200 from Richard Casper, at Cancun Resort, Las Vegas. The reason we purchased these points is because Rick told us if we went from Gold, to Platinum status, he could sell the points if we needed to. In addition, he told us we could substantially reduce our maintenance fees by submitting receipts to him for goods and services. We have never seen a tangible way to reduce our current $8,685 maintenance fees. We contacted Richard Casper by email on April 7, 2017 because we need to sell the 20,000 points. We received an autoreply stating to contact VP Dan Percy. We talked with Dan Percy on April 14, 2017. 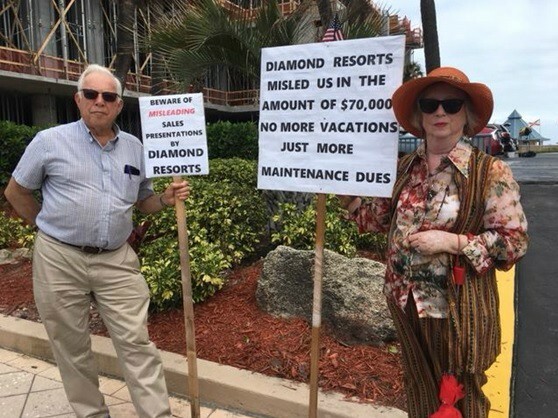 He stated that Diamond Resorts sales personnel don’t assist people who need to sell points and are not allowed to provide any company names that buy and sell timeshare. In addition, during our sales presentation with Richard Casper July, 2016 we asked about combining our eight contracts. He advised that any free and clear points sold on the resale market will have the same benefits except loyalty level as long as no more than 20,000 points to one individual and it would be better not to combine the points. He stated that many Gold owners would be happy to buy 20,000 points at the lower price to become Platinum owners. Rick Casper was introduced to me as a Platinum specialist. Mr. Casper said I made a big mistake buying Hawaii points and a bigger mistake transferring the 20,000 points I bought in Daytona, due to a class action lawsuit against DRI members causing exorbitant increases in maintenance fees because of storm related beach erosion. Mr. Casper said I had to transfer back to US Collection and if I owned 100,000 points I would be unofficially known as a double platinum member and I would be able to sell any unused points in November and December each year back to Diamond at 30 cents per point, as DRI could sell those points annually to other members. Mr. Casper said this was closely regulated by the authorities. Mr. Casper said by selling these point back to DRI at 30 cents per points I could pay some or all of my maintenance fees for that year and any years to follow. Mr. Casper said this would allow my children not to have to pay maintenance fees. “You are really passing your children a bill. We have a new program if you reach me in November to let me know what you did not use. Diamond will buy them back at $.30 for that year only to, ‘put them back in the kitty’. We need the points because we can sell them to other people who need them.” He illustrated the money we would be paid on a piece of paper. “What are you waiting for? This is a no brainer,” he said. Mr. Casper convinced me to return to the US Collection the 20,000 points I had transferred in Hawaii 2015 due to beach erosion. I purchased an additional 30,000 points. I now owned 115,000 points. In November 2016 I called Rick Casper to inform him I had 80,000 points I wished to cash in so that I would receive $24,000 (at 30 cents per point) as Mr. Casper illustrated during our sales presentation. However, he denied any knowledge of any such arrangement. I explained I had a guest with me at the time, S L, who heard everything he said. .
My current loan payment at the time of the presentation was $1,650 per month. Mr. Casper multiplied that by 12 totaling $19,800 in payments annually plus $14,000 per annum in maintenance fees or $33,880 for annual maintenance fees and loan payments combined. He divided this figure by 12 resulting in $2,816 per month. In the 50,000 additional points Mr. Casper offered, he stated it would only cost an additional $400 per month or $4,800 per year. If I sold back the additional 50,000 points at 30 cents per point I would receive a check back for $15,000. As stated previously, when I contacted Rick Casper to sell back 80,000 points, he acted as if he did not know what I was talking about. I own a truck leasing business and S is a secondary school teacher. In no way did we misunderstand the figures above. There was undue pressure to open a Barclaycard. I explained that I did not need an additional credit card. Rick Casper insisted I open a Barclaycard. I feel the Barclaycard is part of the strategy used to play out what I consider to be a con. I then spoke with Dan Percy and then Seth Johnson. I thought Mr. Johnson and I were close to a resolution when he suddenly stopped responding to me. At a meeting in Palm Springs, CA between Christmas and New Year’s 2016, we met with someone who seemed to be an ombudsman about the poor accommodation we had been assigned. During the course of our meeting I mentioned Rick Casper. She closed her book and said, “This meeting is over.” I asked several times why and she finally said Rick Casper was under investigation. I want to return to the 50,500 points I originally owned prior to the deceitful sales. I was not unhappy with Diamond until the deception started. 8 The first Monarch complaint I read in 2015 back in the day when I thought the Cancun Resort was in Cancun. Former DRI CEO David Palmer’s friend from ADW Capital, recommended Diamond’s stock because there is no secondary market. This is a mock interview I published after reading the above complaint, shortly before I received an executive perk agreement leaked to us about how Diamond founder and former CEO Stephen Cloobeck was allowed, as a perk, 50 hours use of the most expensive aircraft in the DRI fleet with the flight crew, for non-business use. Last time we checked, Mr. Cloobeck is running for Nevada Governor, lauded for donating $400,000 to the victims of the Las Vegas shooting. Leon Black, founder of Apollo Global Management, is worth $6.5 billion, according to Bloomberg. David Palmer earned $19 million in two years, a small portion of the wealth generated for his family during his tenure as DRI CEO. As a former stockbroker and financial planner, I have nothing against generating great wealth, but not like this. Diamond’s response to the six military who say they were defrauded: Free tickets for military members for their next event. Welcome to the Tuesday Slot, in this article Irene Parker looks at the Marriott Vacation Club and the law suit for racketeering. First some recent news fro the Supreme Court in Madrid which came in this morning, this is the 73rd ruling by Spain’s Highest Court. Another Silverpoint contract has been declared null and void with the British clients set to receive over £37,000 plus legal fees and interest. No details are yet available, but as with other cases the main infringement is likely to be a contract over 50 years. The one important factor is that these contract contravene the Spanish Timeshare law 42/98. Part I describes how New York Attorney General Eric Schneiderman achieved a $6.5 million settlement for The Manhattan Club timeshare members after a battle that lasted almost three years. ARDA, the American Resort Development Association, seemed to be on the side of the TMC developers. In today’s article we look at ARDA’s involvement in the Marriott Racketeering lawsuit filed May 2016. Timeshare members should research ARDA ROC before making their voluntary donation which appears as an “opt in” or “opt out” donation on their maintenance fee invoice. In the Marriott racketeering lawsuit, attorneys for the plaintiffs, Anthony and Beth Lennen, challenged Marriott’s points based system. Once again ARDA’s lobbyists are at the forefront. I can imagine slave traders and slave owners making the same argument ARDA lobbyist Gary Hunter makes in opposition to the challenge to the points based timeshare product.The legal structure of the points based timeshare product is complex. It seems the points based programs are not products that should be associated with real estate. It would be as if a country club charged me closing costs for joining their right to use program. Bluegreen seems to employ a similar model. As usual, I asked timeshare attorney Mike Finn of the Finn Law Group if he agrees with me. Is timeshare deemed real estate when it comes to charging buyers fees associated with actual real estate, but not real estate in matters having any control over the property? Is this a case of having your cake and eating it too? “If Florida law requires a real property conveyance, then I think there could be a problem,” Michael added. I have been researching timeshare since attending an astonishingly deceptive sales presentation July 2015. Like peeling an onion, I discovered at timeshare’s core, the points based system provides a recipe for deceit. As the Lennen complaint describes, point programs began in 2008 when timeshare developers did not know what to do with aging, foreclosed or repurchased inventory. Inside Timeshare has received 216 US timeshare complaints from our readers, the majority concerning points. Not one of the 216 members understood, at the time of purchase, the difficulty selling their timeshare. Of the 216 complaints, 201 allege deceit and bait and switch on the front end of the sale. Of the 216 complaints, only two came from a Marriott member. It saddens me to see Marriott singled out when the entire industry may be guilty of selling a product that is more smoke and mirrors than reality. According to the suit, Marriott (NYSE: VAC) timeshare customers pay fees associated with owning real estate — such as closing costs and recording fees — but don’t actually own any real estate. Despite not actually being real estate owners, the lawsuit says, buyers are still paying closing costs, recording fees, title policy premiums and real estate taxes. Except it seemingly did not fully comply with applicable law, so ARDA lobbyists and industry executives forged ahead to initiate legislative changes that would change the definition of “beneficial interest” so that Marriott would comply. The following excerpts are from a November 23, 2017 Florida Trend article. The full article is linked below. In bold is my emphasis. However, Marriott began fighting the suit on another front. The company turned to the Florida Legislature, acting through the American Resort Development Association, the trade group that represents the timeshare industry. At the time, ARDA’s chairman was Steve Weisz, Marriott Vacations’ president and CEO. In both provisions, the lobbyist, Gary Hunter, of Hopping, Green & Sams in Tallahassee, included extra sentences saying the changes were meant as “a clarification of existing law” — an effort to ensure Marriott could use them as a retroactive defense in the Lennen lawsuit. The legislation passed both chambers in late April, and Gov. Rick Scott signed it into law a month later. After the legislation passed, ARDA gave another $50,000 to the fund controlled by Republican Senate leaders. Two weeks to the day after the bill became law, Marriott went back in court in Orlando, alerting Judge Mendoza to the new Florida law whose provisions “go to the very heart” of the case. “These clarifications of existing law … decimate much of the complaint,” Marriott’s attorneys wrote. A spokesman for Marriott declined to comment on either the lawsuit or the legislation. But Hunter, the lobbyist for the American Resort Development Association who worked the bill, says the goal of the legislation isn’t just to help Marriott defend itself. It is, he says, meant to protect the entire timeshare industry from similar attacks in the future, should a judge, who is unlikely to be familiar with the history and intricacies of timeshare law, interpret state statutes in a way that no one in the industry ever intended. A third-party observer, Ben Wilcox of the nonprofit government watchdog group Integrity Florida, said the timeshare law changes are suspect. It’s not unusual for Florida to spearhead legislation that ultimately gets rolled out nationwide. Like the 2017 Florida amendment, in 2015 Florida passed a bill that alarmed advocacy groups. Advocacy groups felt the 2015 bill made it more difficult to be released from timeshare contracts. This new amended 2017 bill is also expected to be rolled out nationwide. ARDA lobbyist Gary Hunter is instructing Senator Hutson to remove language from the proposed 2017 Amendment that provided that the law applied only to Florida properties. He called the language “non-substantive” clearly intending to broaden the reach of the amendment to cover properties from single-site timeshare plans outside of Florida (which make up the bulk of MVC Trust properties). Timeshare, in my opinion, is virtually an unregulated industry. There is no federal enforcement, and some Attorneys General may be influenced by lobby dollars. Florida is a timeshare Mecca with billions of tourist dollars flowing into the state. As mentioned in Part I, the Florida Timeshare Division only acted on 110 out of 2,360 timeshare complaints from April 2012 to April 2014. How will it end? I fear big money will get its way at the expense of middle class timeshare buyers, even it means labeling a duck a goose. Contact Inside Timeshare or a member sponsored self-help group if you have a timeshare concern or a story to share. Thank you Irene and all who helped with this article, especially Mike Finn of Finn Law Group for his legal views, this will certainly be of interest not just to those across the Great Lake, but also those owners in Europe. If you have any questions or comments on this article or any other timeshare matter, please contact Inside Timeshare and we will do our best to help.